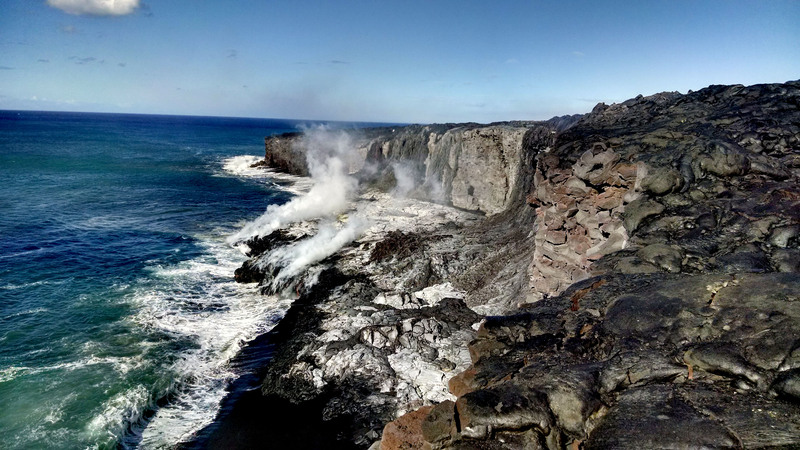 Activity Summary: Kīlauea Volcano continues to erupt at its summit and from its East Rift Zone. 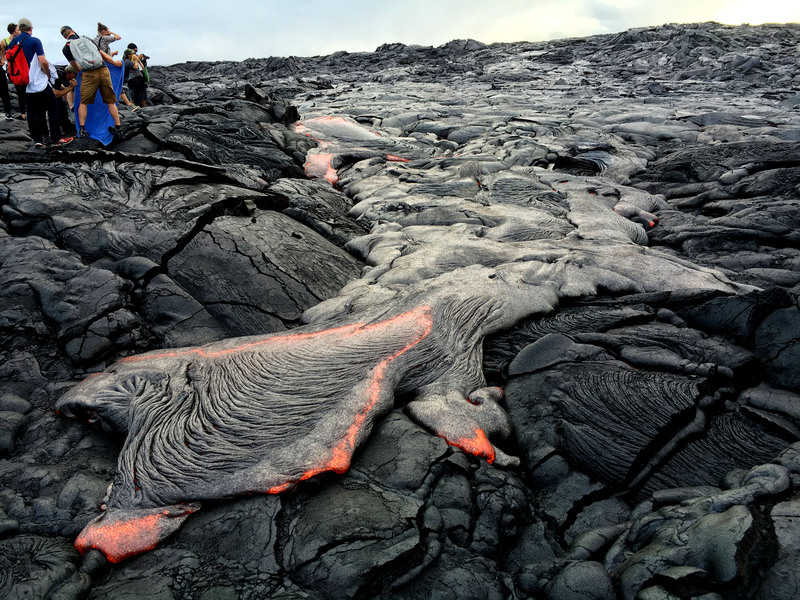 The 61G lava flow continues to flow into the sea at Kamokuna and produce scattered breakouts on the coastal plain and pali. The flow poses no threat to nearby communities. The lava lake at Halemaʻumaʻu Crater continues to be active with its surface about 30.5 m (100 ft) below the crater rim. Summit Observations: The lava lake within the Halemaʻumaʻu Overlook crater remained active and circulating; its surface rose slightly to 30.5 m (100 ft) below the crater rim as measured this morning. Weak inflationary tilt of a summit was was measured over the past 24 hours. Seismicity rates were normal, with tremor fluctuations associated with lava lake spattering. The average daily summit sulfur dioxide emission rate ranged from 1,100 to 7,500 metric tons/day over the past week. 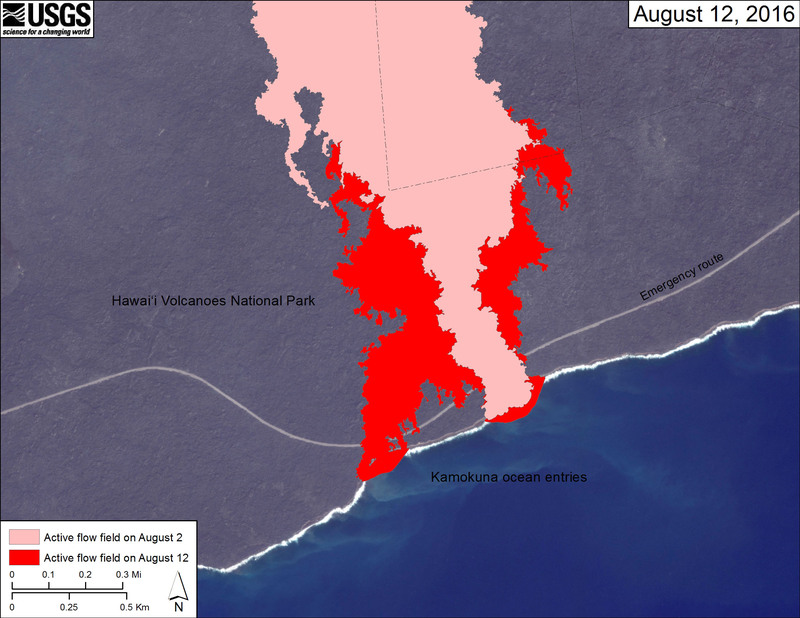 Lava Flow Observations: The 61G lava flow, extending southeast of Puʻu ʻŌʻō on Kīlauea’s south flank, continued to be active and to enter the sea at multiple places near Kamokuna (labeled ‘ocean entry’ on HVO maps). Scattered breakouts continue predominantly on the makai (seaward) portion of the coastal plain and on the pali.